Trolls are a staple of many fantasy settings. 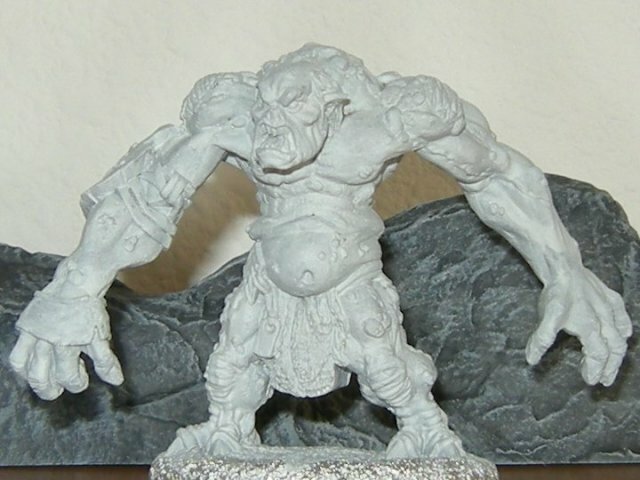 When I saw the amazing Hill Troll from Reaper Miniatures, I knew he would have to make an appearance in my upcoming Dungeons & Dragons campaign. Sculpted by James van Schaik, this model is a big one, towering over human-sized figures. Preparing the model was more difficult than usual. It had plenty of flash and some very pronounced mould lines, so I had to do a lot of cutting and filing. Even then, I couldn’t get everything. I will have to do my best to conceal these imperfections with paint. I began with a couple layers of Grey Primer from Coat d’Arms. I added extra paint along the most egregious mould lines. This helped to soften the lines and minimize their appearance. 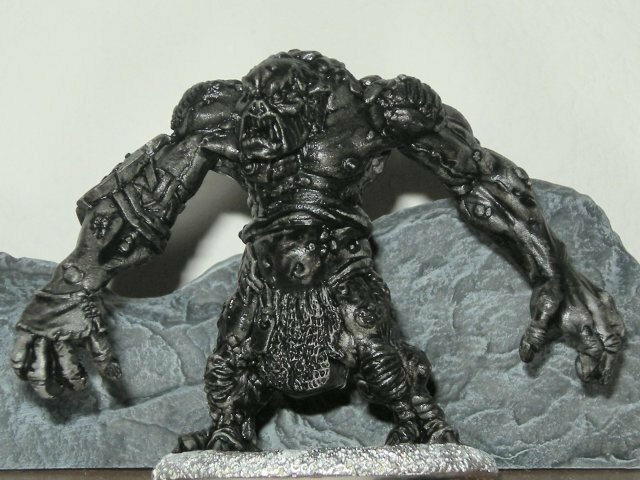 I followed the primer with a thin under coat of black paint, as has been my practice lately.